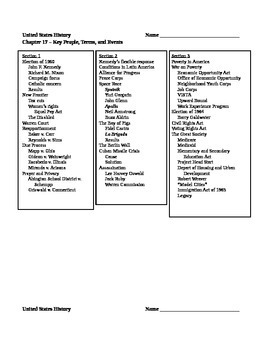 This file includes outlines for the four chapters of Unit Six of Glencoe's The American Vision: Modern Times textbook. Students can use the outlines to help refine their reading of the text and follow the PowerPoint. The PowerPoint for this unit is also available in my store. A complete set of outlines for all twenty-four chapters is also available for a discounted price.